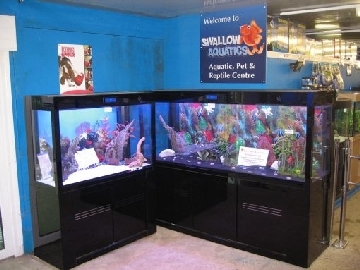 Visit Swallow Aquatics for a complete range of aquariums, marine, cold water and tropical fish tanks for sale from leading manufacturers such as Fluval,Tetra, Aquaworld and Boyu. The company also offer pond supplies, including pond pumps, pond liners, filters, water features, plants, garden lights and more. 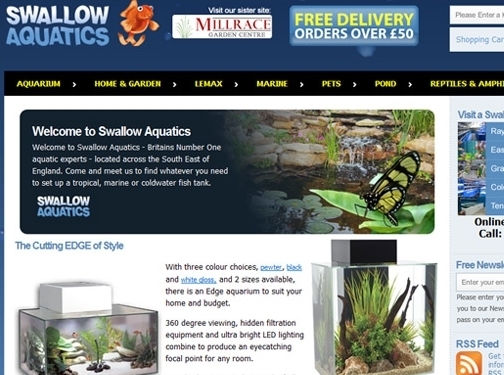 UK (Essex) based company offering aquariums, marine, cold water and tropical fish tanks for sale. Website includes e-commerce facilities, delivery and cancellations/refunds (both found under terms and conditions), FAQ, full company contact details.